Sitting in her modest living room, 86-year-old Florence gazes intently at her television. 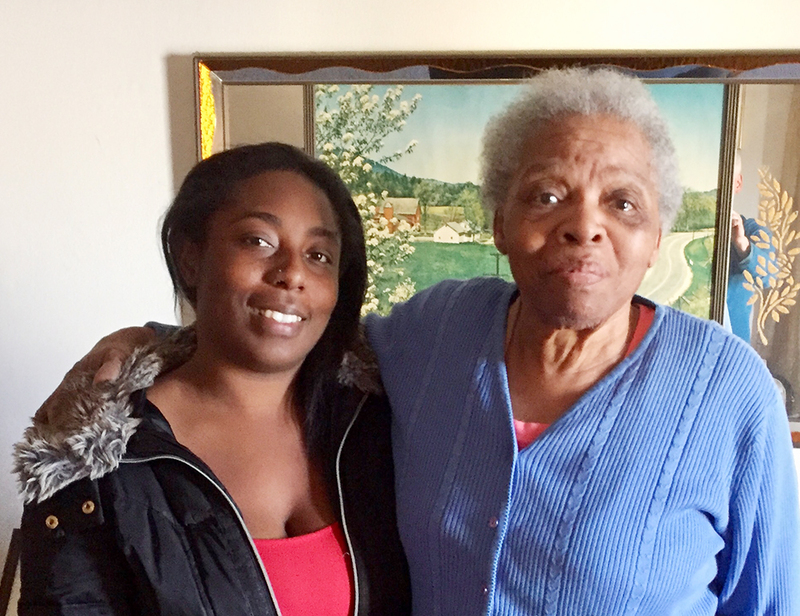 Family Feud is blasting on the speakers (Florence is a little hard of hearing) as her granddaughter, Whitney, and I, enter her home in the Bayview, a short distance from the Meals on Wheels San Francisco office. Florence is excited to have visitors and invites us to sit down. When Florence moved to San Francisco from Buffalo, New York in the 1960s, she knew she wanted to be closer to family members living in the area and to help others in need. She took a job at a local nursing home looking after seniors with mobility issues and in need of help with every-day tasks. A few years later, she met John, a World War II Army veteran, who became her husband. Florence’s home is neat and tidy, and full of warmth. 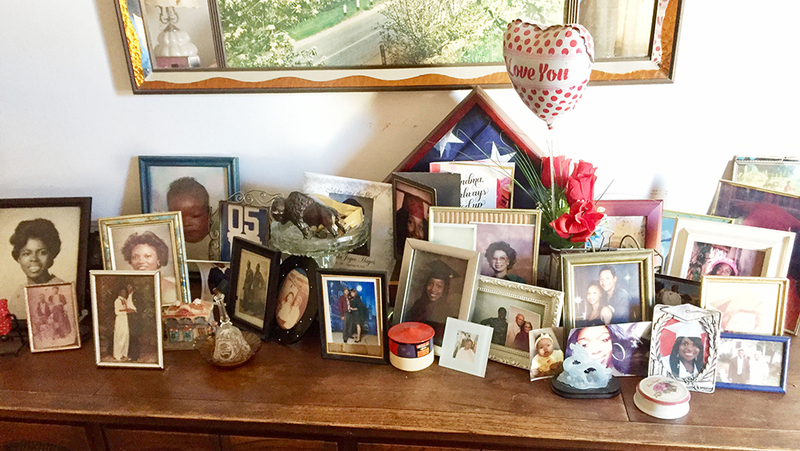 The credenza in her living room runs the length of a wall and has become a beautiful showpiece documenting the family’s memories. Florence is a proud mother of three, grandmother of 14, and a great grandmother of 27! 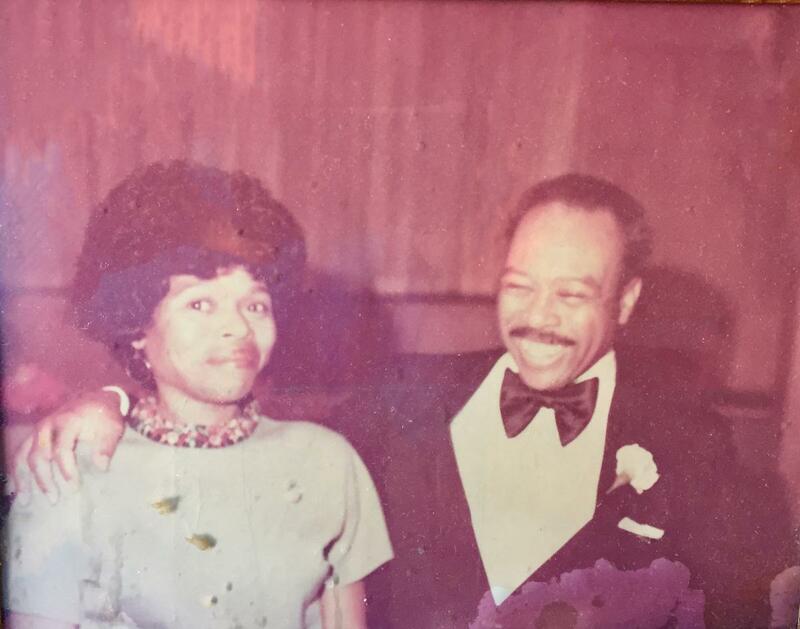 When Florence and John were in their 30s, they enjoyed entertaining friends in their home, exploring the nearby Mission District’s eclectic shops and clubs, raising three children, and attending church. Sadly, John passed away in 2003 and two of the children, William and Clara, passed away in 1989 and 1999, respectively. These days Florence moves slowly and cautiously in her home and doesn’t get out very often. While her granddaughter and other family members visit Florence regularly, they cannot always be there to make sure she receives a nutritious meal. In 2009, the family came to the realization that Florence needed more help than they could provide, so they contacted Meals on Wheels San Francisco. Soon after, Florence began receiving fresh meals to supplement the family-prepared meals. 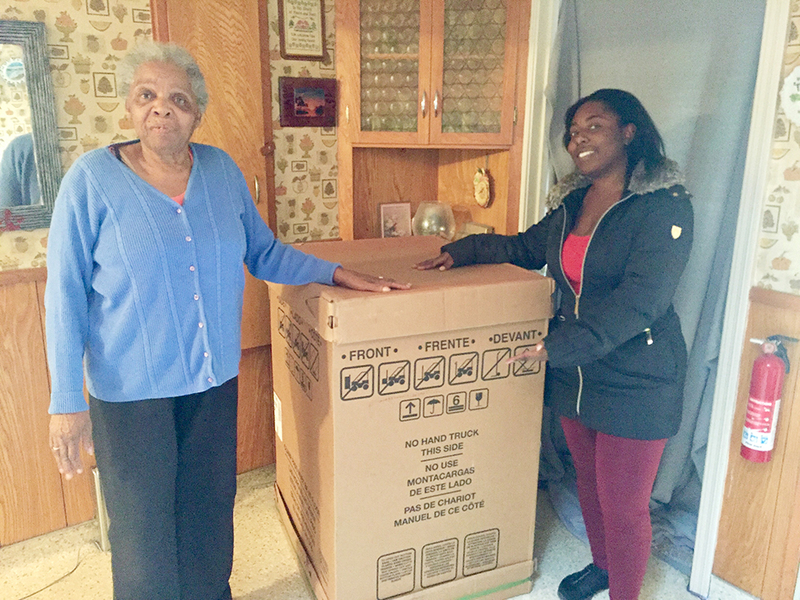 Earlier this year, thanks to a generous grant from the Home Depot Foundation’s Helping Homebound Heroes program, Florence received new wall-to-wall carpeting and a new stove-top range to replace one that had not been working for at least two years. Soon, a new oven, also from Home Depot, will be installed. The carpeting replaced worn and uneven flooring, making it safer for Florence to navigate. At the end of my visit, I said goodbye to Florence and took a last look at the collection of photographs. Florence will never be alone, and will be cared for thanks to her family and her friends at meals on Wheels and Home Depot. At the end of my visit, I said goodbye to Florence and Whitney and took a last look at the collection of photographs. It felt comforting to know that Florence will never be alone and she will be cared for thanks to her family, and friends at Meals on Wheels and Home Depot. Fifteen percent of the clients we serve at Meals on Wheels San Francisco are veterans who have served our country? As part of our commitment to these brave men and women and their spouses, we are very fortunate to partner with Meals on Wheels America and the Home Depot Foundation’s Helping Homebound Heroes program. Through this program, we have provided shower chairs, replaced old and uncomfortable mattresses, and installed lift chairs so seniors can safely navigate in their homes. The Home Depot Foundation has improved over 37,000 homes for veterans across the country since 2011.